Hi, Buyer. It's a very good offer. If you want a real boosting your search Engine Rankings you need very high quality Backlinks..
Get top Google results with our proven working link building service with niche specific huge link diversification and day to day backlinks. There is no cheaper link building solution out there that works with latest Google search engine changes. Awesome right ? For only 30$ per 30 days, you could get similar results. Start ranking higher and quicker in search engine listings with Proper Marketing's high-quality backlinks daily link building service. Our drip feed service will give your website new backlinks daily to maintain a consistent SEO program. All links Panda and Penguin safe with PR ratings ranging from PR5 to PR10 for huge amounts of link juice to boost your SERP position! 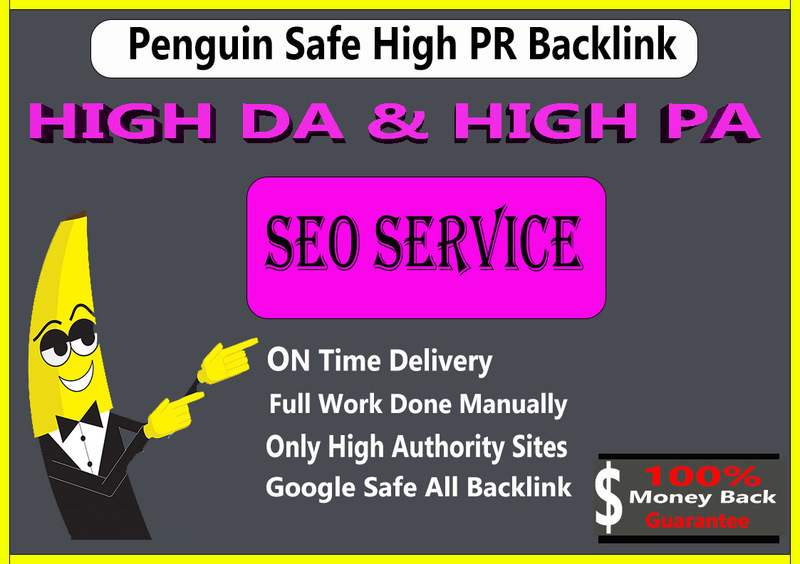 15+ HQ Authority Backlinks(PR5-PR10) each day for 10 days! Panda, Penguin, and Hummingbird Google safe. Backlinks from PR5 to PR10 rated websites. Boost SERP (Search Engine Results Page) position. Low cost - Only $30 for 300 high-quality backlinks. Exposure - Maximizes the visibility of your website throughout the web. What we need from you ? N:B:This is Subscription Based Service. It will bill you daily $1. You can cancel Anytime if you want.